ANN ARBOR MI - JUNE 22: Flags on display at the Relay for Life of Ann Arbor event on June 22 2013 in Ann Arbor MI. New Hampton, Iowa – The Chickasaw County Relay For Life event is slated for Thursday, June 1st from 5 p.m – 9 p.m in partnership with the Classic Car Night to Drive out Cancer event. Carolan says the entire county is encouraged to attend the Chickasaw County Relay for Life. Carolan said the night will be filled with all kinds of fun activities. 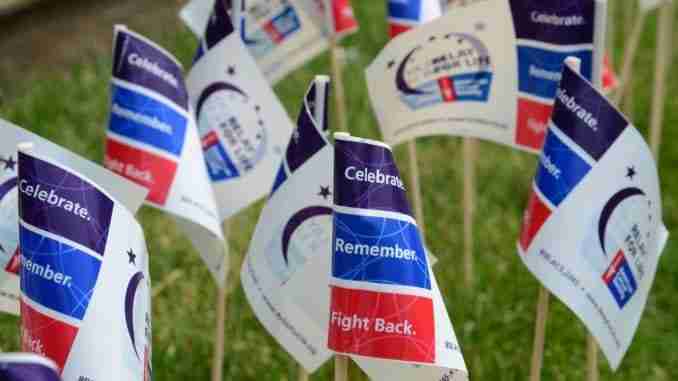 More information on the Chickasaw County Relay for Life can be found on relayforlife.org/chickasawcountyia.